This is our favorite summertime cocktail. The recipe was given to me by a dear friend of ours who unfortunately passed away last year of Lou Gherigs disease. Marco was a head chef and a true master of his kitchen. He worked beside Wolfgang Puck for many years and even was kind enough to get Wolfgang to personally autograph a cookbook for one of my sons who studies culinary. Nice gift! The BF and I use to go to the restaurant where Marco cooked often. Not just because of Marco but because we loved the atmosphere. 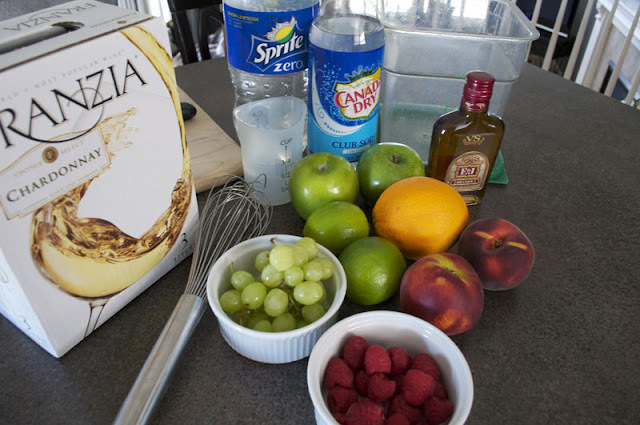 One evening after a few sangrias, I asked Marco to share his recipe with me. If you know anything about chefs, they generally don't share all the ingredients to their recipes. But I was in luck, Marco not only decided to share, but he was going to give me a tutorial in his kitchen the following afternoon. It was a date! Well a booze date! So at 2 the following afternoon when the kitchen of the restaurant was slow he guided me thru my first batch. And as they say, the rest is history. So In honor of our dear friend and his love of a good cocktail heres to you Marco! Cheers! 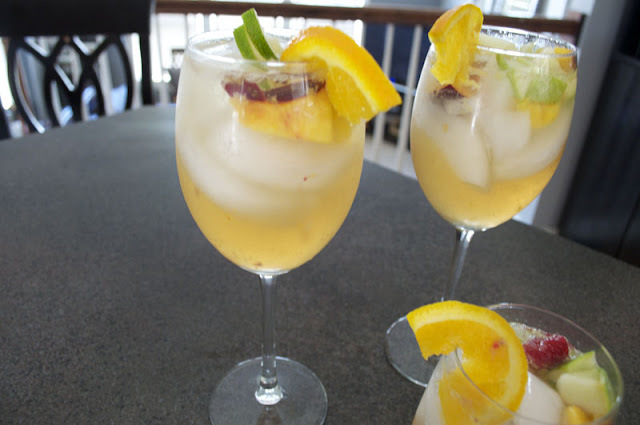 *NOTE* You may make this a red sangria by using a merlot and switch out the lighter colored fruits for darker fruits such as cherries, blackberries, watermelon, red apples. 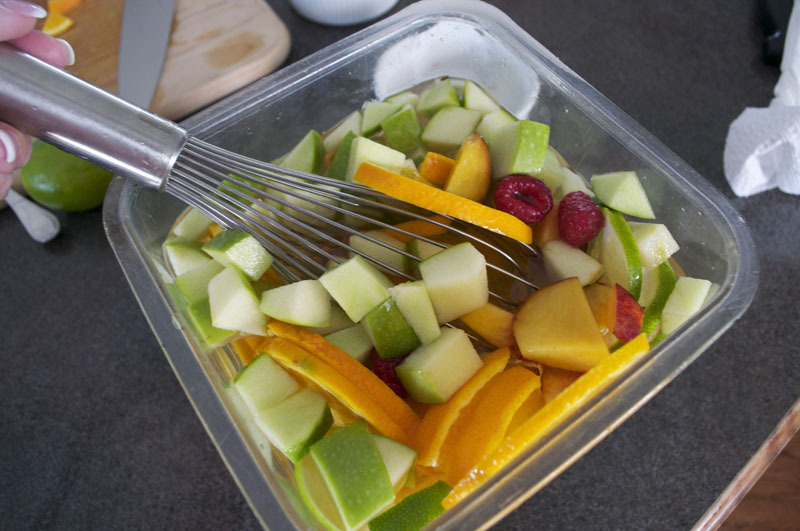 Pour your wine into a container large enough to hold the liquid amounts and leave room to add fruit. Add the sugar and mix well. 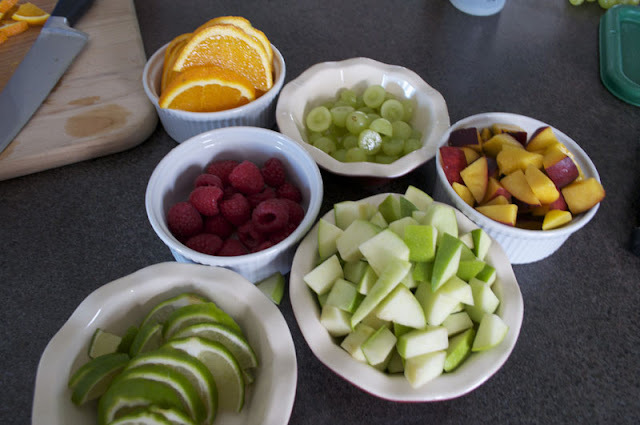 Strain the fruit from the wine when you are ready to serve. 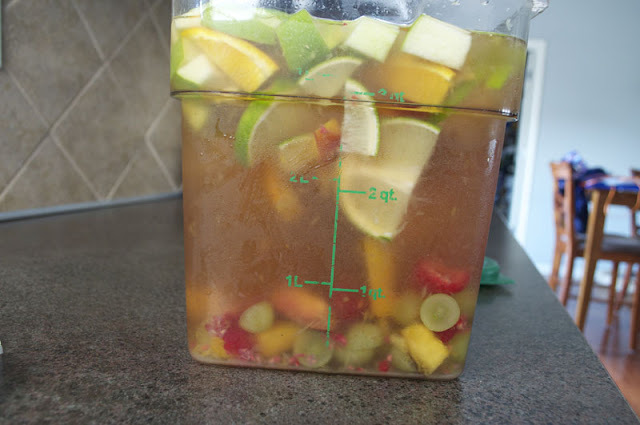 I leave the fruit in the wine mix for a few hours to infuse, and it brings out all the fruit flavors but it ferments and boy is it stronger the second day if you leave the fruit in the wine! Now, if you are ready to get your cocktail on, pour the sangria over ice and add a splash of club soda or Sprite. 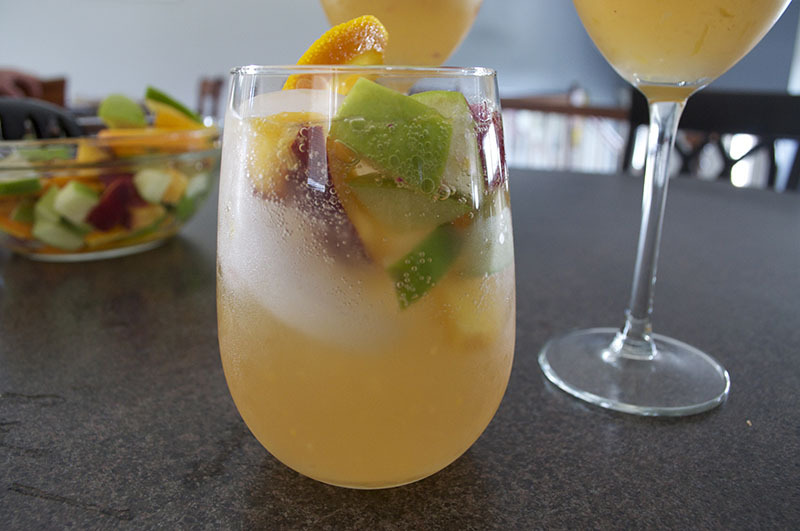 I always add a little of the sliced fruit in my glass. Garnish with a disc of orange and a sprig of mint! If you prefer, chill the mixture for a few hours and then stir again right before serving and straining. We never wait and pour ourselves a glass right away! WOW! 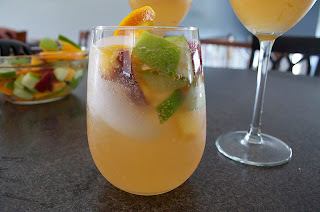 Now that's a sangria! I love the color. RIP to your dear friend.